The MU Office of Sustainability's Bike Resource Center strives to make bicycles a safe and affordable option for commuting, to reduce environmental impact through the use of non-motorized transportation and to encourage personal health through exercise. With that said, the Bike Resource Center helps repair MU student bikes throughout the year, free of charge, to keep them going strong. Our general guideline is that if it’s over 50 degrees and not raining, BRC will be out there! 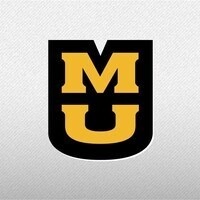 Check our MU Sustainability Facebook and Twitter pages for updates on cancellations or location changes.